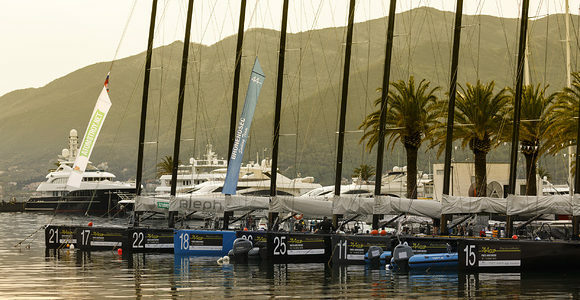 Tivat – Racing gets underway tomorrow at the 44Cup Porto Montenegro, the opening event of the 2019 season for the high performance RC44 one designs. While the majority of the teams are repeat customers, this year almost all have crew changes, some even changing their vital tactician in this 100% owner-driver class. 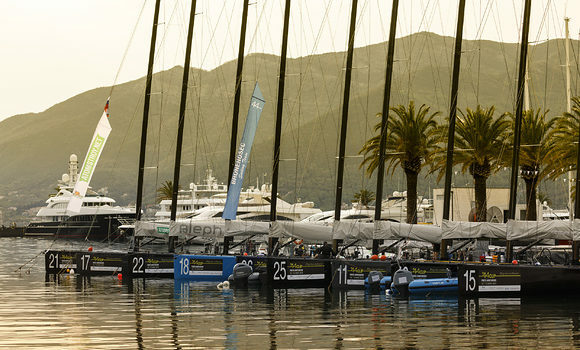 The top three teams from the 2018 season – Nico Poons’ Charisma, Vladimir Prosikhin’s Team Nika and Igor Lah’s Team CEEREF – have new personnel this year, with, for example, Dean Barker and Ray Davies temporarily departing to rejoin their respective America’s Cup teams. On the RC44 World Champion Team Nika, Barker has been replaced by American Laser Olympic gold medallist and former Oracle Team USA tactician Tom Slingsby, while the crew is also joined by a second Russian in former Synergy and Katusha pitman Nikolay Kornev. On the defending champion Charisma, the team’s American former coach, 470 Olympic silver medallist Morgan Reeser, steps into Davies’ sea boots. While Flavia Tomiselli is no longer sailing on Peninsula Petroleum, the sole woman now racing on the circuit is Lara Poljsak who is on Hugues Lepic’s Aleph Racing, where Italian Michele Ivaldi is again calling tactics.